I am looking forward to meeting you at this exciting event. 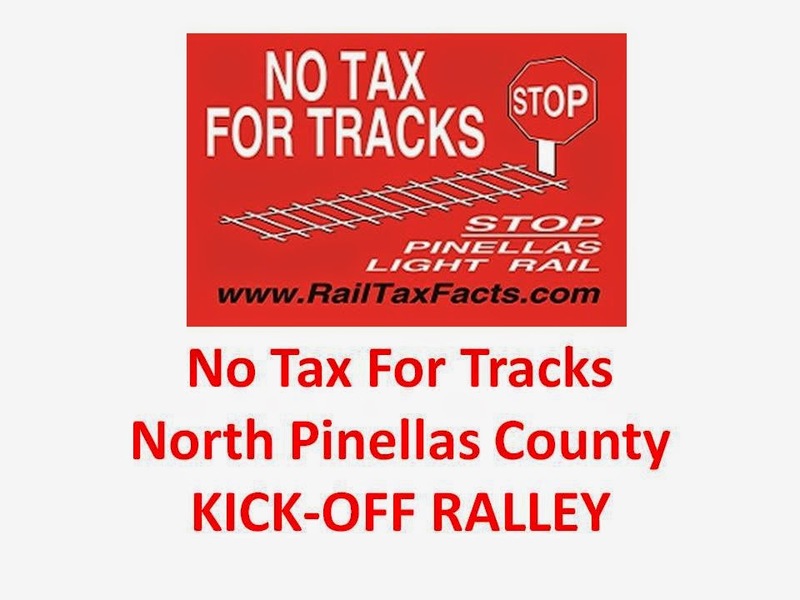 If you're confused about the Greenlight Plan, the sales tax referendum, the 2.2 Billion dollar train you are being asked to pay for or those ads on the back of the buses, you need to come to this rally at Tiffany's Restaurant in Oldsmar Sunday July 20 at 4:30. Pick up yard signs, bumper stickers and a lot more. But most importantly come and get the facts. Don't mark that ballot or go to your polling place without knowing how this $130 million dollar tax grab will affect your business and/or you personally.